In this multimedia short, Ghanaian filmmaker Akosua Adoma Owusu combines classically Western and African imagery to compare and contrast the two cultures. 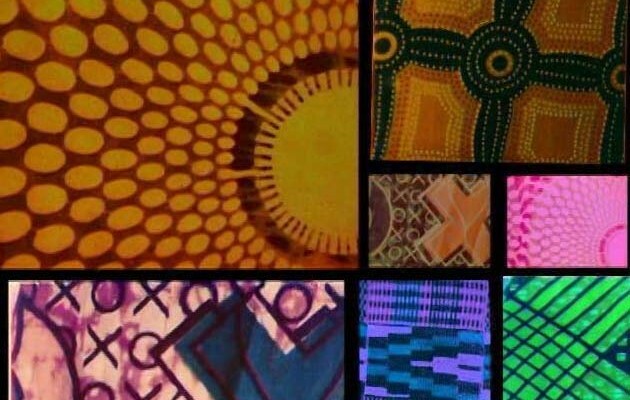 Batik textiles, 1960s Afrobeat, Asante Adwa music and footage of men weaving and women sewing in Ghana collide with 1950s and 60s Western fashion and a Westinghouse commercial demonstrating how women should properly decorate a refrigerator. The result is a bracing feminist statement on female working conditions around the world. Kendall, N. “Commentary: Haunting in Akosua Adoma Owusu’s Short Experimental Films.” Black Camera, vol. 5 no. 1, 2013, pp. 232-236. Project MUSE, muse.jhu.edu/article/525956.